Immrama Institute (now out of business) produced some high-quality brainwave sound programs. I have previously written about the first two Immrama programs: Insight and Focus. As other Immrama audio programs, this one was available in a downloadable MP3 format and has two versions for the background sounds: gentle rain and ocean waves. UPDATE: Some people asked me for the information on how to use it. Here’s a PDF that I have for the Infinity Program: Click here. I also have a booklet to the Immrama Insight CDs, which is similar, and I made it available here. I have the immrama CDs (Insight and Focus) and also got the infinity program as an mp3 . That was such a great website. Does anyone know where it went or why it went out of business? There used to be a video (thought it was a Ted talk or maybe just YouTube). That the founder who was a female brain doctor tells of her own personal experience of having a stroke and knowing what was happening – which led her to Immrama. I can’t find the video either – anyone know a link for it? It is like Immrama Institute just evaporated!!! If yes, from where is the information that she founded Immrama ? OMG!! Thank you YES!! That is the video I was looking for. I don’t know that she “founded” Immrama. I do know that Immrama Institue had this video on their website. It was so long ago, I don’t remember how I ran across all of this. I heard Jill Bolte Taylor perhaps on NPR or some talk radio. Then when I went online, I found Immrama Institute and the Insight and Focus CD’s – and her video on the website. There was so much good information on that website. It is a shame that it has disappeared!! I have repurchased the Insight and Focus CD’s from Mercola.com and I had downloaded the Infinity MP3 program back in 2012 or 2013. I just am so puzzled as to what happened and why there is absolutely no trace of any of the Immrama Institute people or any of the information. It is like a government shut down or something. Better Business Bureau is the only place I can even find a name of anyone associated. How can all this information just be gone? Thank you so much from providing the video. Really appreciate that. Don’t know why with today’s technology, the CD’s cant be converted to MP3 or some digital form as the Infinity program had been? Hi. Could you help with listening instructions? Are we supposed to listen to all three tracks daily for 3 months. Or do we listen to just one track per month? Thanks. I actually had some documentation about them and also scanned the booklet of Immrama Insight (which came out before Infinity). I’ve updated this post now with the links to download them. I hope this helps. 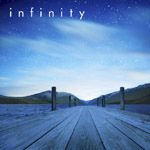 Hi Jacob, I have tried to find somewhere on the web to buy the mp3’s but I haven’t managed to find either of the first two or Infinity. I used Holosync way back in early 2000 and it was incredible so I’s love to try these out. Any ideas would be welcome.